The slip roller features a 12” forming width, and can bend 20 gauge mild steel at its full width. 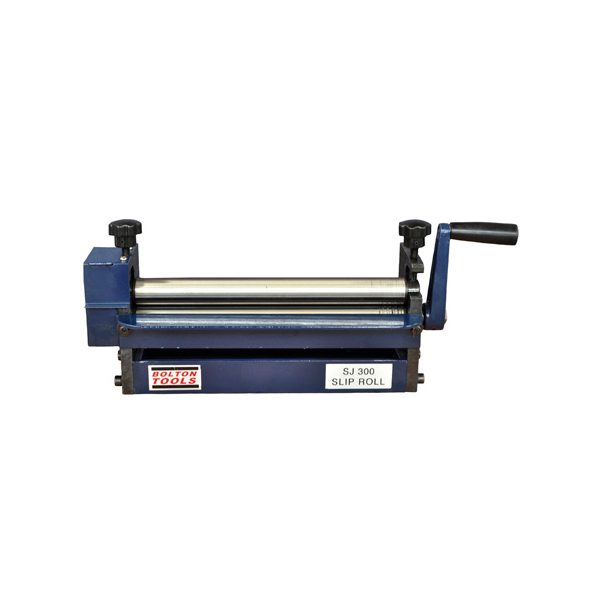 The SR1220 manual slip roll has a 1:1 ratio for rolling, this is extremely important of you are doing precise work that needs the utmost accuracy. Also included with the SR1220 are 5 wire grooves of varying sizes. The versatility of the SR1220 is also apparent in the way that you can mount it. It can be bench mounted or vise mounted with the included mount. 1. Upper Roll Dia. 1.25" Minimum Forming Dia 1.875"
3. Capacity (Mild Steel) 20 ga.
6. Shipping Weight 32 lbs. 7. Shipping Dimensions 19" x 9" x 7.5" .